This week, a Californian jury ruled that glyphosate caused the cancer of groundskeeper Dewayne Johnson, awarding him $289 million in damages. While Monsanto maintains glyphosate’s safety (as do many scientific studies and regulatory organisations) and plans to appeal, this decision is likely to have an impact on agriculture worldwide as glyphosate is the most widely used herbicide in the world. An article posted by Genetic Literacy Project states that banning glyphosate could raise food prices, reduce crop yields, and force farmers to use more toxic herbicides from the past. Turning to Africa, an article in The Citizen states that Tanzania is making progress in biotech agricultural research, citing the report recently launched by the ISAAA on the Global Status of Commercialized Biotech/GM Crops. According to the article, Tanzania has approved insect-resistant and drought-tolerant maize for confined field trials while agricultural researchers have also developed drought-resistant maize using conventional breeding. Meanwhile, Ghana is considering adopting Bt cotton in the wake of Nigeria’s decision to commercialize the crop, according to a story in Cornell’s Alliance for Science blog. 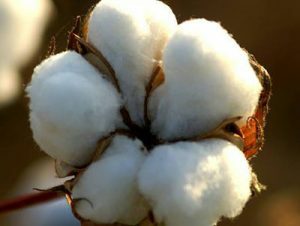 “Science-focused civil society groups are confident Nigeria’s move will serve as a good role model and push players in the agricultural space to resume work on processes to make Bt cotton available to farmers in Ghana,” the article says. Kenya also plans to release commercial Bt cotton by March 2019, according to China.com. The article reports that trials for the transgenic cotton in seven sites under the Kenya Agriculture Livestock Research Organization will continue until year’s end, ensuring that the variety is “distinct, uniform and stable” before release. On the Fall armyworm front, the pest has been detected for the first time in Asia, according to Phys.org. “Scientists at the Indian Council of Agricultural Research said a survey had identified fall armyworm or Spodoptera frugiperda on more than 70 percent of maize crops examined in the Chikkaballapur area of southern Karnataka state,” says the article, adding that it could quickly migrate to neighboring countries. From the B4FA Fellows, we hear from Lominda Afedraru in Uganda’s Daily Monitor on How to ensure bumper harvest from butternut, as well as from Michael Ssali on the role of science in food security in the same publication. With glyphosate-cancer legal battles poised to escalate, what are the ramifications for agriculture if the herbicide is restricted? Research: can we grow food without fertiliser?